How to Easily Master Format SONY XPERIA SP (C5302/M35H) & (C5303/C5306 LTE) with Safety Hard Reset? Talk about SONY XPERIA SP (C5302/M35H) & (C5303/C5306 LTE) problem solving when get trouble. Sony have several class for their Android range, the SONY XPERIA SP (C5302/M35H) & (C5303/C5306 LTE) have good specifications with reasonable price. As we know SONY XPERIA SP (C5302/M35H) & (C5303/C5306 LTE) use 1.7Ghz Dual-Core Processor and has 1GB RAM it also use Jelly Bean and has 8 megapixel bright camera with ability to record video up to Full HD 1080p at 30fps. How to Solve Problem and Recovery if SONY XPERIA SP (C5302/M35H) & (C5303/C5306 LTE) get hang or not responding or malfunctions or stuck or freezing or bricked ? The specifications from SONY XPERIA SP (C5302/M35H) & (C5303/C5306 LTE) is big enough to install a lot of applications which can be download free or buy little dollar for fantastic applications from Google Play Store. With Dual-Core 1.7Ghz processor and 1GB RAM, the SONY XPERIA SP (C5302/M35H) & (C5303/C5306 LTE) can run everything without problem. But some applications at Google Play Store is not always compatible with SONY XPERIA SP (C5302/M35H) & (C5303/C5306 LTE), this situations can make our smartphone become problem such as hang or stuck or bricks or the touch screen is not responding. If the SONY XPERIA SP (C5302/M35H) & (C5303/C5306 LTE) get this problem, then we need to try doing soft reset or reboot to clean up the temporary files and cache. When the problem still happen, the last option you can do is doing master reset to factory default. How to Soft Reset or Reboot or Restart SONY XPERIA SP (C5302/M35H) & (C5303/C5306 LTE) ? It is easy to doing this step. Press the POWER BUTTON KEY for several seconds, we will see the menu to restart or turn off. Choose restart/reboot than the SONY XPERIA SP (C5302/M35H) & (C5303/C5306 LTE) will do the soft reset or restart. This is safe to do because all data or installed applications will not removed. The SONY XPERIA SP (C5302/M35H) & (C5303/C5306 LTE) have secret button for help user to force turning OFF the phone when we are stuck while running the applications. Usually the phone become hang or can not access anything with our finger touch. In this moment, we need to force turn off SONY XPERIA SP (C5302/M35H) & (C5303/C5306 LTE) with special button in the back and need to open the back cover first, after that we can find small hole near the bottom. Press & hold that small button with small stick or paper clips until the SONY XPERIA SP (C5302/M35H) & (C5303/C5306 LTE) turn off by itself. After that we can turn ON again using usual POWER BUTTON to turn it on again. Doing this step will not remove or erase any data, so we can do it safely when the phone hang or stuck or freeze and need to force soft reset. The SONY XPERIA SP (C5302/M35H) & (C5303/C5306 LTE) will continue the step until ready to use in clean factory default. Finish the PC Companion step and until it doing Factory Reset to SONY XPERIA SP (C5302/M35H) & (C5303/C5306 LTE) to factory default Android operating system. How to Restore and Reinstall Clean Android Operating system at SONY XPERIA SP (C5302/M35H) & (C5303/C5306 LTE) ? SONY XPERIA SP (C5302/M35H) & (C5303/C5306 LTE) operating system using Android Jelly Bean. When you get problem with this smartphone, in some situation you need to reinstall the operating system. The default and clean operating system of SONY XPERIA SP (C5302/M35H) & (C5303/C5306 LTE) already saved in this smartphone internal ROM, so we do not need to copy anything from other locations. To reinstall and restore the operating system of SONY XPERIA SP (C5302/M35H) & (C5303/C5306 LTE) is easy, just do the hard reset process above and the clean and default operating system will automatically install in SONY XPERIA SP (C5302/M35H) & (C5303/C5306 LTE). How to Unlock or Fix or Solutions for SONY XPERIA SP (C5302/M35H) & (C5303/C5306 LTE) forgot password code or security lock screen pattern or pin? We can give more protection in SONY XPERIA SP (C5302/M35H) & (C5303/C5306 LTE) by using security password pin or screen lock pattern protection. Sometime we can forget about the password or screen lock pattern. In this case we just have to find Forget Password / Pattern button, the SONY XPERIA SP (C5302/M35H) & (C5303/C5306 LTE) will ask for Google account inside this smartphone. If we can not open the Google Account, then we need to do hard reset to factory default with step above. How to Improve Performance SONY XPERIA SP (C5302/M35H) & (C5303/C5306 LTE) to make run more faster? Some applications can be download and installed at SONY XPERIA SP (C5302/M35H) & (C5303/C5306 LTE), but some applications can make our smartphone become problem, especially if the applications is not codding well. SONY XPERIA SP (C5302/M35H) & (C5303/C5306 LTE) can become slowly or not responsive in the touch screen menu. How to resolve this problem? If you can not find other way, we suggest to do hard reset with factory default to solve this problem easily. Is That Any Secret Code for Doing Format SONY XPERIA SP (C5302/M35H) & (C5303/C5306 LTE)? There is no secret hidden code for SONY XPERIA SP (C5302/M35H) & (C5303/C5306 LTE) to make it back to factory default. Do the options above to hard reset it. How To Make SONY XPERIA SP (C5302/M35H) & (C5303/C5306 LTE) More Stronger, Not Fast To Drain? This phone use non removable battery, we can not replace easily when we want to use more bigger capacity. We also have to know that battery have life time. Usually after use 1 year, the battery will slowly drop and will get worse after 2 years or usages. Please replace with original battery at Sony authorized service center. We can do some adjustment to make SONY XPERIA SP battery work more longer by reducing LCD screen brighntess as low as possible. Please also disable all not use connections like GPS or Bluetooth or Wifi or NFC. If some applications want to know our locations, then we suggest to activate GPS battery saving mode from menu Setting > Location. 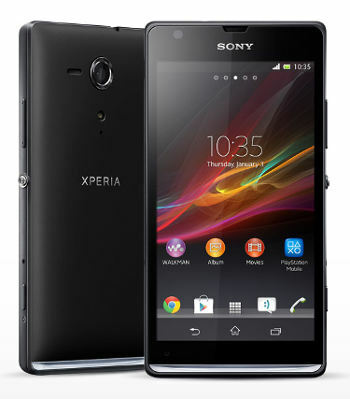 How to Remove Google Account from SONY XPERIA SP? The better solutions to remove all account including Google / Gmail account at SONY XPERIA SP by doing hard reset or master format, but please backup all important files before doing hard reset, because try process can make our data wiped or removed or erase from SONY XPERIA SP (C5302/M35H) & (C5303/C5306 LTE). Please always remember to backup all important data to your memory card or other location, because all data and installed applications will deleted and clean up / wipe from SONY XPERIA SP (C5302/M35H) & (C5303/C5306 LTE) when performing master reset to factory default. [A] Hi, if you have done to reflash using flashtool but still can not work, then we suggest to recheck your Sony Xperia SP to Sony authorized service center, because some other troubles like hardware will make your phone can not reformat or hard reset using standard procedure. [A] Hi, yes you are correct. It will need to make sure Internet data connection is active while restore forgotten security protections. The other alternative is reformat your Sony Xperia SP using PC Companion like steps at #option 4 above. The information from this page describe about sony xperia c5302 hard reset,sony c5303 hard reset,sony c5302 hard reset,sony xperia c5303 hard reset,c5303 hard reset,hard reset sony c5303,hard reset sony xperia c5303,xperia c5303 hard reset,how to format sony xperia sp,hard reset xperia c5303. If you need another resource for hard reset, use search function at this homepage or find from our related posts. How to Easily Master Format LENOVO ZUK EDGE with Safety Hard Reset? Hi, if you can not access your screen lock. Try to find Forget Password / Pattern button at your Sony Xperia SP. If you can not find that button, then you have to do several time wrong answer until the phone locked and the button will be appear. Pressing Forget Password / Pattern will bring you answer the Google account username and password to bypass the screen lock protection. I tried following option for hard reset. My sony expira sp is going reboot again again continuously. First expira logo coming after that color layer and again rebooting…. Hi, there are several options to do hard reset for Sony Xperia SP. The other alternative to hard reset can be done using PC Companion which need to be download first at our computer. After installation PC Companion process finish at our pc, then you can follow the step from PC Companion to restore the default Android operating system. Please prepare the data cable to connect between you computer and Sony Xperia SP phone. Will hard reset solve my problem? Also before hard reset,I want to take backup of phone memory but my phone is not getting started. So how to take backup of phone memory in this case? Hi, some user also reported that using several kind of theme will make trouble at their Android smartphone or tablet. Therefore we are not suggested download and use theme unless we really understand the problem could happen because theme are not compatible with the phone. This is happen with your Sony Xperia SP. If the damage make you can not go to the Setting Menu, then the solutions only doing hard reset or master format using hardware button or PC Companion using computer. For backup, because your phone can not work normally then you should try to connect your Sony Xperia SP using USB cable with Computer PC. When connected, hopefully your phone Notification status bar will show options to change USB connection into Mass Storage Device, if success then you can move any important data from Internal memory to your computer hard drive. But if you can not change the Notification status bar, then you have to let your data at internal memory go or erase or remove from your phone, but you still can safe your external card data by remove it from the phone before doing hard reset or master format. My xperia sp Is counter blocked, does hard reset work? If no,what should I do? Hi, we do not know about your problem, but you should try to hard reset first to make sure your problem can be solve with hard reset, and please share the result with us. Thank you. I installed Woodys theme( from SONY ) in my Sony Xperia SP 5302 phone, all of a sudden my phone started restarting, unable to detect phone in PC companion as it is getting restated continuously, unable to see home screen to format in settings, i wanna uninstall the theme, i tried hard resetting by pressing the power button n volume Up button which didnt worked, and now trying with downloading flash tool .. I have taken my phone thrice to my service centre, they some how fixed. Now i came to know jus because of this theme my phone is getting hanged .. I ll never download theme 🙁 .. Will update you once m done with testing with flash tool, if i fail, ll update regarding the same .. Hope for the best 🙂 ..
Hi, if you still get problem, the very reasonable conditions to hard reset your Sony Xperia SP is using PC Companion, because we can start to connect the phone to computer when the phone OFF, so the effect from your downloaded theme will not work. We never use that theme, but as your experience that installing it will make your phone get problem, better to stay away and use other 3th party recommended launcher if you still need it, but we are suggest to use factory default theme and launcher will make it run normal without problem. I am trying to reset option 3 …. But it’s not working…. Hi, there are several options to hard reset Sony Xperia SP, you also can try to use software PC Companion which need to be download first from Sony Website and install at your computer, then follow the Option #4 above to finish hard reset. Hi, If see the problem at your Sony Xperia SP, you should try to do hard reset first to make sure everything work normal again or not. This problem also can be happen because the battery problem. If you can, try to use different battery or ask Sony service center to make sure about your battery. You also can try to charge your phone using different Android charger, just to make sure your Charger function normally or not. My xperia sp c5303 is getting hanged while pressing home screen.I don’t know how to fix it! Hi, usually this problem happen because you have installed some other Theme or Launcher from Google Play Store or others at your Sony Xperia SP, therefore when press Home button, your phone need to determine which Launcher to use, weather default Sony Launcher or new installed 3th party Launcher, this can make your phone hang or stuck especially when the 3th party Launcher are not compatible with your Sony Xperia SP. Try to remove or uninstalled that Launcher, but if you can not find it, try to do hard reset to make all applications and setting back to factory default. But you need to do backup all important data, because hard reset will make your important data removed or wipe. Hi, maybe some applications make the operating system become crash or damage. You should try do hard reset with hardware button at #option 3 above. This will try to reinstall or recovery your Sony Xperia SP operating system to factory default, but this steps also may make your important data wiped or removed, but at this time, you do not have many options to try. Phone was locked and i dont know the password. Can you pls guide to unlock? Hi, if you forgot the security protection password for Sony Xperia SP, then you can try to bypass or unlock it using Gmail username and password that you have already signed in before (at beginning using this phone). Please give several time wrong answer continuously until the phone freeze for about 30 seconds. Then you will find Forgot Password button, press that button to bring you insert the Gmail username and password to bypass the forgotten password protection. If you still can not access Google account or Gmail account, then you have to do hard reset or master format with hardware button steps above. You also can do hard reset using computer with PC Companion application installed like steps above too. Hi, usually after doing reformat or reinstall or hard reset Sony Xperia SP, everything will work normally like new. The problem at your not working Google Play Store maybe because you have not signed-in correctly. If you sure you have already signed in then sometime we have to wait several minutes (less then 30 minute depend on the Internet connection) to wait Google Play Store update with the latest version automatically. This is happen because at old firmware source, your Sony Xperia SP still use old version of Google Play Store. Hi, is this problem happen since beginning or just at recently moment? If at beginning your Sony Xperia SP work normal, but now this problem happen, then maybe some installed applications make the setting crash. Please uninstall that applications. If you can not find it, you should consider to do hard reset or master format, but please backup all data first at your Sony Xperia SP, because doing hard reset will make all important data wiped or deleted. Hi, by some problems you can not performing hard reset with hardware button above, then you should try to do hard reset or reinstall the clean factory default Android operating system to bypass or break forgotten password at your Sony Xperia SP with PC Companion application that can be download from Sony official website. Please follow the #Option 4 steps above to do this process with your Microsoft Windows computer PC. Hello friends last night my phone was in charge and it suddenly switched off….and now its not switching on anymore….m really worried….any solutions please!!!! Hi, please make sure your charger is working normally. You can try to use different Android charger with minimum 1mAh capacity. If you already sure that the charger can charge your Sony Xperia SP properly, then you can try to do hard reset using hardware button. The second options you can try is connecting your phone with PC Companion. If the phone still can not work, then you should bring your phone to Sony authorize service center. Please what could make my xperia sp c5303 hanged, whenever the phone is on for some minutes, I won’t be able to unlock the patern, nothing I press will work, even if I try to use the power button to off it, the power off options apear, but touch screen will not work, until I use the power off @ the back cover. After that it will on and accept partern, but few minutes later, touch screen won’t work again. Hi, there are some possibility about your Sony Xperia SP problems. If your phone still can accept any touch screen although just for a while, then your LCD digitizer should be fine, because if it broken, then you can not touch it anytime. However, if you still can not do hard reset using hardware button, then please try to hard reset using PC Companion which is need to be install at your Microsoft Windows computer PC (can be Windows XP / Windows 7 / Windows 8). Please follow the steps to do hard reset using PC Companion like steps at #Option 4 above. Hi, usually this trouble have because you have installed applications that crash or not work properly, then it will make the operating system damage. Therefore, you should try to do hard reset or reformat the operating system with Setting Menu if you can access it. If you can not access setting menu because the applications close by itself, please use hard reset using hardware button key like steps above. Thank you very much fr this post, my mobile phone was frozen due to no apparent reason. I was freaking out! but all I needed to do was a soft reset and it was fixed! Thank you. Hi….. i am using sony xperia , button the problem is that it gets hang nd stuck when i play games. usually when i open any app it directly home page and gets stuck . when i do restart or power off it gets hang and stucks it takes long time to do…. Hi, usually this problem happen because the RAM and processor resource at your Sony Xperia SP already insufficient, then the phone start beome hang after running that applications. Please remove some not use applications, if you are not sure which applications to uninstall or if your phone still get hang problem after finish uninstall, then you should have to do hard reset or master format. But do not forget to backup all important data because they are all will be removed or wipe. Whenever I open my camera to capture image, it says camera initialization fail though I can capture image but the image comes blur and low quality….what should I do to solve this problem can I restore the camera features only…. Hi, please try to reset your Sony Xperia SP camera applications by going to menu Setting > Apps > All > Camera. Find and press Clear data and Clear cache. After that please try to use your camera again. You also can try to download other 3th party camera applications like Google Camera or something similar like that from Google Play Store. hi,i am turjo. I have got a problem with my xperia SP. After checking my email i turn off the data connection. Than i lock the phone with pattern lock. But i forgot the pattern. For this i cant sign in with my play-store id. I have no backup of the data which is in internal memory. At now how can i unlock the pattern without losing the internal data? Hi, it seems that you already signed in with proper Google account, because you can check your email. So, you can try to unlock or bypass forgotten security protection using that Google account. Please try to give several time wrong answer continuously until your phone freeze or locked about 30 seconds, at this time you can find Forgot Pattern button, press this button, then you can give your Gmail username and password at the right input field. Bypass screen lock using Gmail account will not remove any data from your Sony Xperia SP. Hi, sorry we do not understand about hide option applications. Maybe you have install launcher applications that sometime can make our phone become trouble. Please try to uninstall that launcher applications, and reboot your Sony Xperia SP. If you still get the same problems, please try to hard reset or master format your phone. PleasE help me my phone Gets flashed automatically and restarts from beginning? Hi, please try to do hard reset your Sony Xperia SP using software menu if your phone still can go to operating system normally, otherwise you should use hardware button combination key or using PC Companion like steps above to reformat your Sony Xperia SP. Why I cant get into the boot mode on my Xperia SP using power on button and volume up key…..? Hi, you can try to use PC Companion procedure to hard reset if you get problems with hardware combination key. Please follow steps to master format using #Options 4 above. Hi, please try to do hard reset using PC Companion software that you have download first at Sony official website, after that install it at your computer and follow steps to hard reset your Sony Xperia SP using PC Companion steps at #Options 4 above. i have the problem with my xperia sp ram.. my hardware show my ram capacity is 839 mb where is my 161mb ram.. i know xperia sp has 1gb ram..plz ans me..
Hi, please note, all running applications inside your Sony Xepria SP will need some amount of RAM. The operating system and factory default applications, including system launcher has already use your Sony Xperia SP RAM, therefore you will not get fully 1 GB free capacity. Moreover, if you install several new applications from Google Play Store like chatting or social media or games, some of them will use RAM because it run in the background. Hi, maybe you should try to do hard reset or master format for fix your Sony Xperia SP problems. Hi, the procedure to reformat or reflash your Sony Xperia SP using PC Companion need your phone turn off first, so it will not effect although your phone screen is locked or not because you will ask to turn off your phone and press Volume Down button together with connecting with USB cable. Please follow steps at #option 4 above carefully. Hi i have changed screen in my xperia sp and it doesn’t work when i press power buton backlight goes on but screen stay black i try reset and reinstal but nothing work can you please help me? Hi, my phone C5302 is one year old and hangs very frequently. Mostly I found it in hang condition in morning. I tried hard reset and even factory reset. Please help me to overcome this problem. Hi, you have done right steps to do hard reset, because most trouble at your Sony Xperia SP after use several period is too many applications or have limited RAM. Doing hard reset also better remove all files by check the Erase data as well. Please try again one more time, after your phone done hard reset, please do not login to any account and test it for several hours running browser or you can try to sign-in with new Google account, just to make sure your automatic cloud backup is not restored. Hi, you can try to bypass forgotten security protection using Gmail account. Please try to give several times wrong answers continuously untul your Sony Xperia SP freezing or locked about 30 seconds, at this time please find Forgot Password button, then press that button to make this phone can ask your Gmail username and password. If you can not access your Gmail account, then you have to do hard reset with PC Companion with steps at #option 4 above. Hi, the best solutions for unlock forgotten security protections at your Sony Xperia SP is using PC Companion. Please prepare anything at your computer then do reformat or upgrade operating system at your PC Companion. This steps will need our phone turn off before connected to USB cable, therefore it will not ask any security lock answer. Please try to do hard reset one more time with PC Companion and choose Update (or similar meaning) menu. Hello my sony xperia c5303 randomly turn off. I already reset using settings》back up & reset 》restore factory default. Problem still exist. Please help. Hi, maybe you have to remove all simcard and memory card if still inserted inside its slots. Then try to factory reset again using setting menu, and do not login with previous Google account after your Sony Xperia SP can boot again normally. You can try to use different or create new Google account to download some important apps from Google Play Store. If still not work or still randomly turn off, maybe the battery or hardware get trouble and need to get further check at Sony authorize service center. Hi.. I try to hard reset my phone.. But it’s doesn’t work with hardware button.. Please help me..
Hi, please try to do hard reset your Sony Xperia SP using PC Companion like steps at #option 4 above. You have to download PC Companion first from Sony mobile official website, and install it at your computer pc then follow steps to do master format carefully. Do not forget prepare USB data cable as well, because PC Companion need to communicate between computer pc and Sony Xperia SP using that cable. i installed sony pc companion but my device will not connect to it unless I unlock the phone but I forgot the anti theft password. It is not performing hard reset also using any method . help me please. Hi, to hard reset or master format SONY XPERIA SP with PC Companion can be done although your phone locked. You do not need to connect directly to USB computer. Just start PC Companion, choose to reformat or reinstall operating system, then PC companion will tell you to turn off you SONY XPERIA SP phone and press volume down while connected to USB cable. Please follow steps at #option 4 above carefully. Hi, at this conditions you should follow steps at #Option 4 to hard reset to reformat your Sony Xperia SP using PC Companion applications. Please download PC Companion applications from Sony Mobile official website and install it at your PC computer which use Microsoft operating system (Win XP/7/8/10). After that you have to follow steps by steps carefully which inform from that software to reformat your Sony Xperia SP. Can someone help me, I tried to unlock the pattern lock through my Google account using, jameskeith805@gmail.com + password ****. but continues checking account, I’m currently using another phone to seek more information, please help me. Hi, please make sure your username and password is correct before unlock using Gmail account. You can try to login with computer browser to make sure your data is correct. If still can not work, then please try to do hard reset using PC companion like steps at #option 4 above to reformat the operating systems Sony Xperia SP to factory default. Hi, yes you are correct. It will need to make sure Internet data connection is active while restore forgotten security protections. The other alternative is reformat your Sony Xperia SP using PC Companion like steps at #option 4 above. Hi, if you have done to reflash using flashtool but still can not work, then we suggest to recheck your Sony Xperia SP to Sony authorized service center, because some other troubles like hardware will make your phone can not reformat or hard reset using standard procedure.